INDIANAPOLIS -- The area along Morris Street is filled with warehouses, but mixed in, you find a couple restaurants and shops that have to deal with the loss of about 1,400 potential customers. 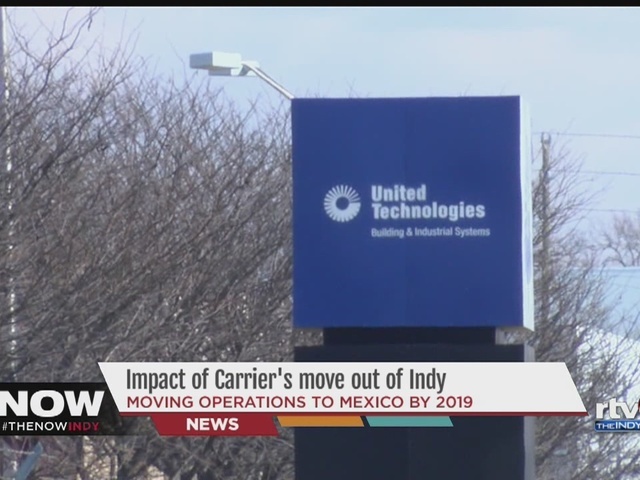 Carrier announced this week it plans to move operations from its Indianapolis plant to Monterrey, Mexico. The move will take place from 2017 to 2019, and will impact not only those employees but local businesses. While Carrier says there will be no immediate impact on jobs, the union that represents employees says it plans to fight the move. Under Governor Pence’s direction, The Indiana Economic Development Corporation is working in tandem with the Department of Workforce Development and the Indianapolis and Huntington communities to support and provide assistance to our Hoosier workforce. The state is offering its Rapid Response services, which entail orienting those affected to all no charge WorkOne job seeking, training and education services. With 100,000 open positions across Indiana, employers are vigorously competing to fill jobs and we are working to ensure reemployment for those affected as quickly as possible. The IEDC does have contracts with Carrier Corporation and United Technologies Electronic Controls. All incentives provided by the IEDC are performance-based, meaning that a company must comply with the expansion or job creation commitments agreed to in their contract with the IEDC in order to be eligible for tax credits and training grants. We will work with each company to gather more information about their plans to relocate jobs to Mexico and will take all appropriate action to ensure compliance with the terms of their contracts with the IEDC. The IEDC entered a contract with Carrier Corporation in 2013 to provide up to $200,000 in training grants based on the company’s job creation plans. A majority ($197,815.76) of that contract has been awarded. In light of yesterday’s news, the IEDC is working to gather more details about Carrier’s plans to move jobs to Mexico. If the company closes its Indianapolis facility, or if the layoffs result in more than a 20 percent loss of workforce, the IEDC will seek to recapture those grants. Watch our video in the player above for more. This has been an update to our original story, below. On the clock Wednesday at the Carrier manufacturing facility, the crowd gathered and the tension built. "My instinct told me it wasn't good," she said. The room was packed. Union workers stood shoulder-to-shoulder, anxiety and fear filled the spaces in between. 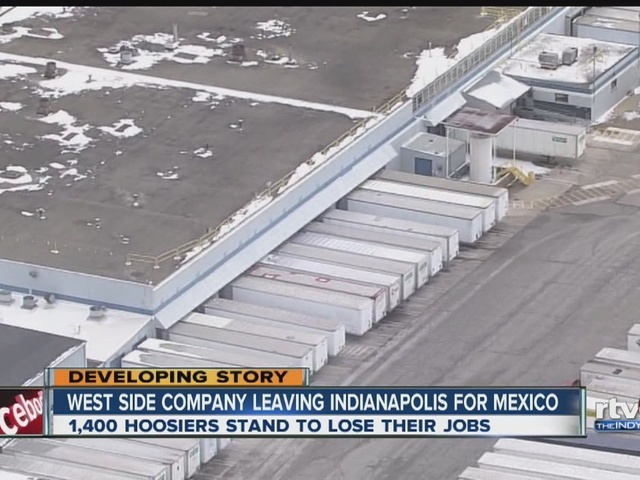 Then their boss said this: "The best way to stay competitive and protect the business for long-term is to move production from our facility in Indianapolis to Monterrey, Mexico." Carrier officials called it a cost-effective measure. Feeling blindsided, City-County Councilor Jared Evans called it something else. "This is just corporate greed," he said. Evans represents the west side district, one that will soon have 1,400 families scrambling to find other decent paying manufacturing jobs. "Where are all those jobs that we are going to be able to find fourteen hundred people that pay them a living wage," Evans said. Those workers wondering the exact same thing. "To see that it's just going to go overseas because they'll do the same work for six dollars an hour versus what we make, I mean I'm just trying to support my family, you know. I'm just trying to survive. I didn't think that was a crime," Needy said. Carrier officials say the jobs will be moved gradually over the course of the next three years. They have promised to treat workers respectfully during that time and work with their union throughout the transition.